A friend told me earlier today that Hughie Williams has passed away. Hughie (born 3 September 1933) was a former state secretary of the Transport Workers Union (TWU) and grew up on the Hunter Valley coalfields where the Chifley labor government had sent troops to break the great coal strike of 1948. Starving miners were forced back to work. As an active unionist, Hughie tried to build the working class movement in Queensland and Australia. He was often plagued by reformist or anti-union laws like the banning of secondary boycotts. Hughie had a strong rank and file group around him at the TWU – people like Bert Nord and Eddie Kann. 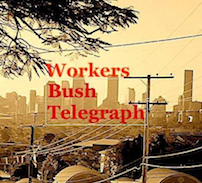 It was this that made it possible for Hughie Williams to take over the Queensland Branch of the Transport Workers Union (TWU) with the support of the rank and file. They wrested the TWU from the right-wing old guard led by Eddie Ward whose wife Wilma was onetime president of the conservative housewife’s association. During the 1998 MUA dispute, I remember Hughie Williams try to stop Patricks from moving trucks on and off the wharves. Secondary boycotts were outlawed so it was quite an achievement for a number of trucks to be turned back by the determined Hughie and picketers in solidarity with the sacked wharfies . 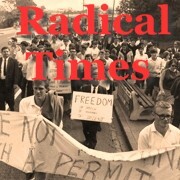 In 1992, Hughie launched a book at the Qld Council of Unions Dawn to Dusk – reminiscences of a rebel by Ernie Lane published by LeftPress. Hughie described his difficult childhood growing up in the Hunter and, listening in the audience, I realised how much Hughie empathised with what Ernie Lane was saying in his book: “You can’t make figs grow on barren trees” when speaking about reformist politicians. I went with a friend and member of the TWU to ask Hughie if he would launch Dawn to Dusk. He asked us to wait, saying ‘I’ve got some bosses down the hallway I have to deal with.’ It turned out they were owner-drivers. Anyway he came and listened to what we had to say and told us that he would get back to us within 24 hours. Which he did, agreeing to launch the book. Hughie was a co-founder, along with Qld Labor senator, George Georges, of the Paddington Workers Club in Brisbane. This provided an important venue for left and union meetings. In 2012 Hughie presided over the 100th anniversary celebrations of the Transport Workers Union in Musgrave Park.